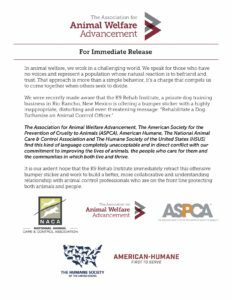 It has come to the attention of the National Animal Care & Control Association (NACA), that a bumper sticker with the words, “Rehabilitate a Dog Euthanize an Animal Control Officer” has been made available by the K9 Rehab Institute to the public in Rio Rancho, NM. We find this disturbing and unacceptable to the professionals in the animal care and control community. NACA does not condone the alarming wording expressed in this bumper sticker. This deplorable message puts the safety and welfare of animal control officers at risk. Animal care and control professionals are compassionate and caring individuals tasked with an often difficult job. They risk personal safety on a daily basis in an effort to provide the best service possible to people and pets all throughout the nation. 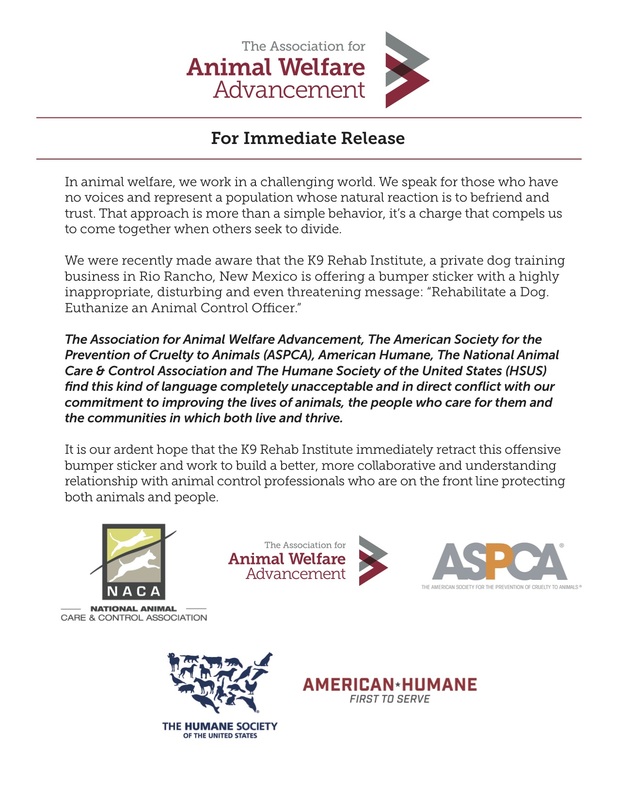 We call on the K9 Rehab Institute to retract this public display of negativity and instead focus on a more collaborative and constructive partnership with animal care and control professionals.